One of the most common field where AI has been applied over longer time is in commuting-related tools. While a paper-made road map was enough just 20 years ago, most of today’s drivers could no longer survive without the extra help brought by applications such Google Maps or HERE WeGo. In fact, and according to a report carried out in Texas (US) in 2015, more than $160 billion were lost in productivity due to rush-hour delays in traffic. Car accidents, transport disruption, roads closed or traffic jams were – and still is – the commuter’s everyday fight. AI came to the rescue in the shape of Google’s AI-Powered Predictions or the rise of new private transport platforms such Uber and Lyft, making commuter’s life a little bit easier. “Using anonymized location data from smartphones, Google Maps (Maps) can analyze the speed of movement of traffic at any given time. And, with its acquisition of crowdsourced traffic app Waze in 2013, Maps can more easily incorporate user-reported traffic incidents like construction and accidents. Access to vast amounts of data being fed to its proprietary algorithms means Maps can reduce commutes by suggesting the fastest routes to and from work,” was mentioned by Gautam Narula from Tech Emergence in a recent article. On the other hand, Uber’s use of Machine Learning techniques is going a step further after they announced a new method that will allow users and drivers to get better and more accurate ETAs for rides, estimated meal delivery times on UberEATS, computing optimal pickup locations, as well as early fraud detection. To sort that out, Gmail, the second biggest e-mail service, came up with a machine learning solution. Every time an e-mail is marked and sorted, Google learn from that and will reproduce it in the future to organize our inbox automatically. Gautam Narula even added that “Google outlines its machine learning approach and notes “a huge variation between user preferences for volume of important mail…Thus, we need some manual intervention from users to tune their threshold. When a user marks messages in a consistent direction, we perform a real-time increment to their threshold.” Same characteristic applies to the company’s spam filter, which is based not only on already reported unknown addresses but also by discarded e-emails by users. Banking is also betting high on AI tools recently. The financial system overall is turning into a digital one. With a thriving online, worldwide and immediate industry on the works, banks are moving fast towards machine learning implementation within their platforms. In a everyday, regular and personal online banking, financial transactions rely further on AI that it has been ever before. It is on three major services where banks have boosted these AI-powered bet: phone check payments, fraud prevention and credit decisions without the need to go in situ to the high street branch. Among those three, fraud is what is getting more attention due to its probable criminal outcome. The problem lies on the huge amounts of transactions made everyday across the globe and so the daily transaction volume is far too high for humans to manually review each transaction. “Instead, AI is used to create systems that learn what types of transactions are fraudulent. FICO, the company that creates the well-known credit ratings used to determine creditworthiness, uses neural networks to predict fraudulent transactions. 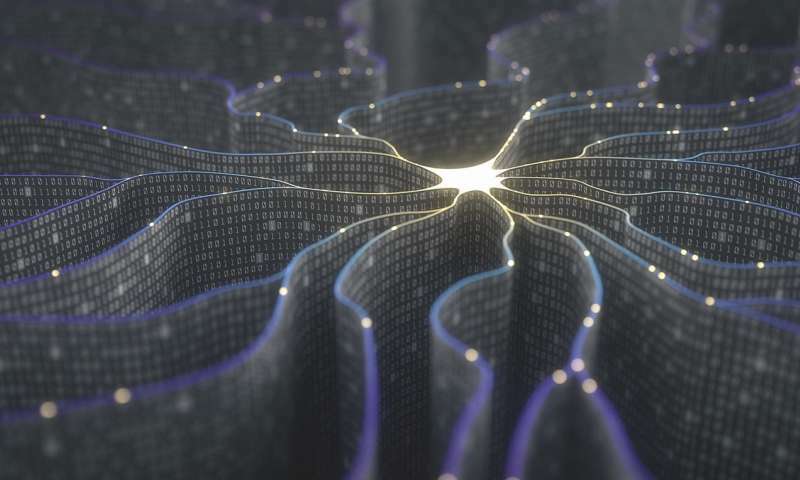 Factors that may affect the neural network’s final output include recent frequency of transactions, transaction size, and the kind of retailer involved,” pointed out the Tech Emergence expert. AI and machine learning, as it has been seen above, works behind the scenes. Their algorithms blend behind the very pillars of the app helping it work smoother and faster with outstanding results to date. These examples, in fact, are only few of a developing technology which its true potential is still further away. We are just at the beginning of the AI journey, it is throughout the coming years and how companies develop this game-changer technology which would set its destiny. We will wait impatiently for it.